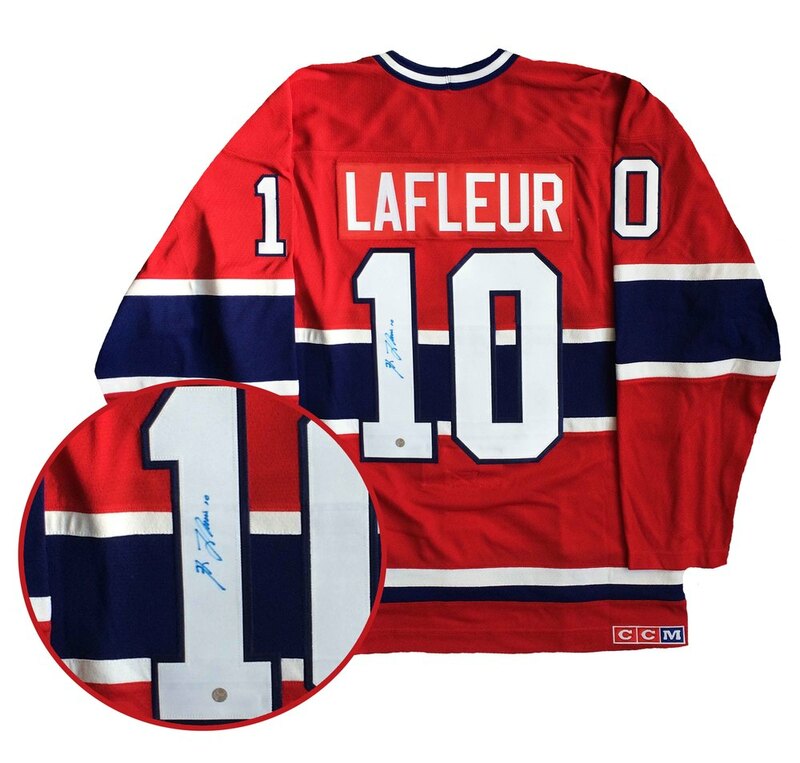 This vintage CCM jersey has been personally signed by Montreal legend, Guy Lafleur. Lafleur won 5 Stanley Cups, all with Montreal. During his years in Montreal, Guy won a hand full of trophies; 3x Art Ross, 3x Ted Lindsay, 2x Hart, Conn Smythe, and a 6x All-Star. Lafleur was the second player to play in the NHL after being inducted into the Hockey Hall of Fame, when he was inducted in 1988. Guy holds 5 current Montreal franchise records. He holds the record for most NHL assists (728), NHL points (1246), most game-winning goals (93), tied for most single season goals (60), and most points in a single season (136). A Frameworth hologram and certificate of authenticity are included to ensure the legitimacy of the signature. Frameworth is an official licensee of the NHL & NHLPA.